Because every space is different, quotes are tailored to your needs. As such, we like to work closely with you to ensure your vision for your event or space is achieved. Our three collections below cover a wide variety of beautiful botanicals, however our stock is ever-changing and seasonal, so if there is something you have in mind but don’t see, Say Hello to see if we can source it. Our Loft collection inspires the minimalist in all of us. 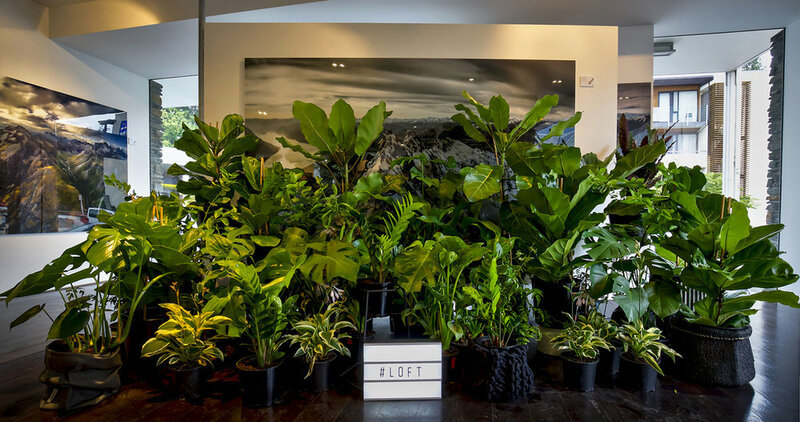 Contemporary and stylish plants like Fiddle Leaf Fig, Monstera, Gardenia, Jade, Peace Lily and Snake plants create a modern look to your space. Our Lush collection defines the very essence of a green oasis. Beautifully luscious and abundant plants like Birds of Paradise, Bromeliads, Cluster Palm, Cordylines, Kentia Palm, Nikau and Fan Palms will create a luxurious, tropical feel. 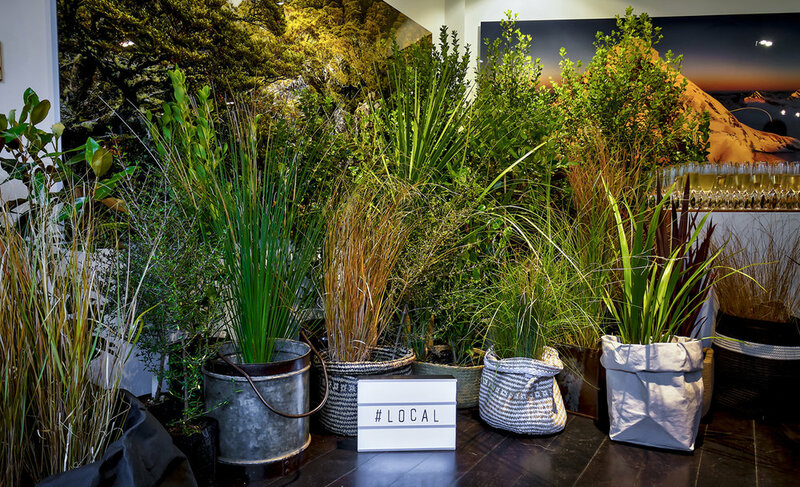 Our Local collection is inspired by the rugged and natural landscape of Central Otago. Emulating a raw, native vibe with plants like Pittosporum, Mountain Flax, Tussock, Fern and Beech Trees to compliment the picturesque scenery of our environment. We love a strong vision and a challenge! Say Hello if you would like to create a bespoke collection that is tailored to your specific needs or event. A delivery/collection fee applies in addition to the hire charges and will be included in your quote once details of event are confirmed. We understand every space is different, and whilst some may know exactly what they want, there will be those who need some inspiration from our green gurus. Let us know in your enquiry if you require styling and design so we can include this in your quote. *Please note styling services are in addition to plant hire. Say Hello for custom quotes that include hire and maintenance. We have selected plants available for purchase. To find out more Say Hello.